Our Award Winning 3 Quart Gift Pack is the perfect gift for the holidays, retirements, birthdays or just because! Each gift pack comes with 3 Quarts of our legendary Pit Cooked Pork in BBQ Sauce. 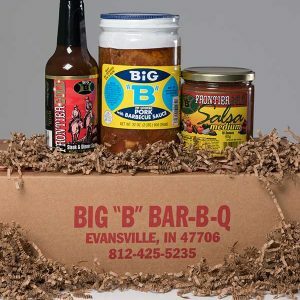 This gift pack is a favorite purchase of many and even placed first in the National Barbecue Associations Awards of Excellence Barbecue Gift Pack Category. 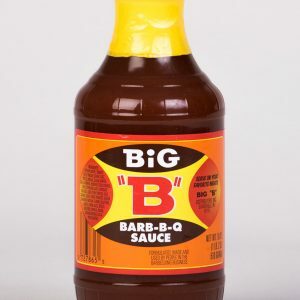 Our Original Sauce is a highly sought after local legend originating back to the 1930’s. This tomato based sauce combined with a variety of spices is the perfect sauce for any meal. 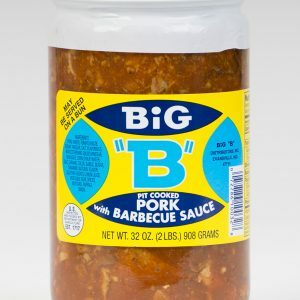 You can use the sauce to make your favorite pulled pork sandwich or use it as a dip. 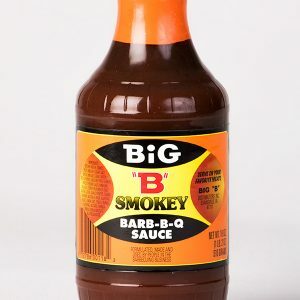 Our smokey flavor sauce starts with our original tomato based recipe and then we carefully add a hickory smoke flavor. 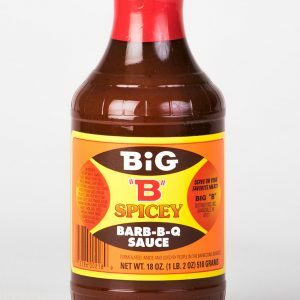 Use this sauce on your favorite rack of ribs to give it that extra smokey taste. With our spicy flavored sauce, we have kicked our original flavor up a notch with a hint of spices. This medium heat sauce is the perfect way to kick your ribs up a notch or add a little punch to your favorite sandwich. This is our newest item in the lineup of products that is quickly becoming a favorite. We carefully slice chicken and add it our legendary sauce. This item only needs to be refrigerated after opening. 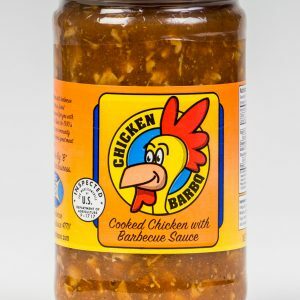 Our special chicken in sauce can be heated up on the stove top or even in the microwave making it perfect for the afternoon snack or a full family picnic. After creating the best barbecue sauce and steak sauce around, we wanted to create the perfect salsa for your backyard barbecue. 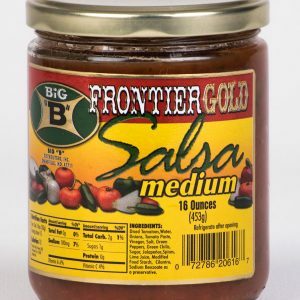 The Frontier Gold salsa combines a variety of peppers into crushed tomatoes to create the perfect medium salsa you will want to eat with tortilla chips or on your tacos and fajitas. Best served with chips or on tacos, fajitas, etc. After years of searching for the perfect steak sauce with no luck, our chefs decided to create their own recipe. This steak sauce is the perfect combination of herbs and spices ingredients. 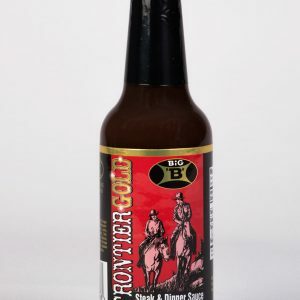 You will want to use this sauce on everything from your steaks to your pork chops. A local delicacy, pickled bologna is a family favorite. 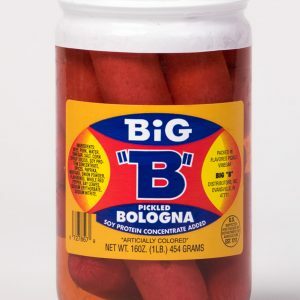 Our bologna is made with only the best beef and pork combination before being added to a tangy, vinegar brine. This is perfect to serve with crackers and top off with your favorite beer or soda. Serve it at your next football watch party or at your next family get together. Our Sampler Gift Pack is another perfect gift for the holidays, retirements, birthdays or just because! Each gift pack contains our a Quart of our legendary Pit Cooked Pork in BBQ Sauce, a 12 ounce bottle of Frontier Gold Salsa and a 16 ounce jar of Frontier Gold Medium Salsa. 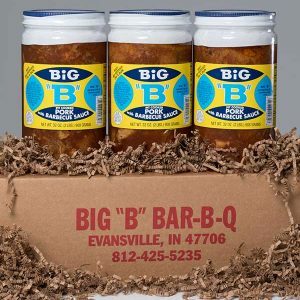 The Sampler Gift Pack offers a variety of the best products made by Big B! 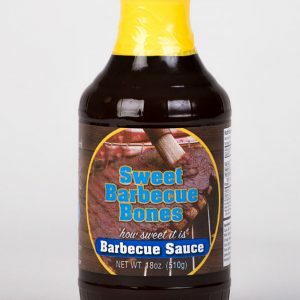 Sweet Barbecue Bones is our nationally recognized award winning sauce. We combined pineapple and orange juices with spices before adding a little smoke to give this sauce the perfect sweet, smoky taste. You will want to use this sauce on everything from your ribs to your chicken nuggets.